It’s all go in the world of air quality assessment this month. 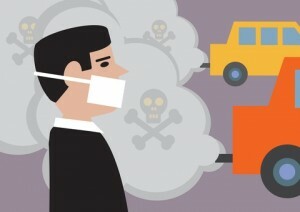 Here are some of the latest news stories about air quality testing and air pollution solutions. April 2014 was predicted to see carbon dioxide readings at the Mauna Loa Observatory in Hawaii reach 400 ppm for the first time in human history, a symbolic number for global warming. A new American Lung Association report highlights where the US stands on air pollution in 2014, revealing how a worrying 150 million people live with unhealthy air pollution levels. And it appears the situation has become worse since their last report in 2013. The 2014 State of the Air report, out Wednesday 30th April, is a mix of good and bad news. While there have been some improvements in air quality compared to previous decades, a recent hike in ozone readings means 147.6 million US citizens suffer unhealthy air quality, 16 million more than in 2013. The study looked at average year-round, 24/7 particulate pollution levels, examining the typical mix of small solid and liquid particles emitted from coal-fired energy plants and vehicle exhaust fumes. It also measured ozone and looked at smog. Fine particulates and ozone pollution both result in a rise in the risk of nasties like heart disease, lung cancer and asthma, making it a worrying trend. At the same time, Science Daily reports about bacteria that enjoy eating natural and human-made gas leaks, preventing methane and propane being released into the air where they can promote global warming. The new research comes from the highly-respected school of Environmental Sciences at the University of East Anglia, and shows that one particular bacterium can mop up natural gas surprisingly efficiently. Published today in the journal Nature, the research reveals how Methylocella silvestris, which lives in soil as well as many other natural environments, loves to grow on the methane and propane found in natural gas. Why’s it exciting? Because we originally thought different groups of bacteria metabolized methane and other gaseous alkanes. Methylocella silvestris’ new-found skills could help mitigate the effects of these greenhouse gases that are released to the atmosphere from natural seepage and human-led activities like oil leaks and fracking. Back to the USA where there’s also some good news. In Washington DC, on 29th April, the US Supreme Court upheld the EPA’s Cross-State Air Pollution Rule. It’s a clean air standard requiring 28 states across the nation’s East, Midwest and South to cut pollution from coal-fired power plants, which have a tendency to blow over state borders and cause problems downwind. Need help with air quality testing? If you’re looking for an expert air quality assessor in the UK, give us a call.